If you need a replacement door for the garage of your home in the Clarksville area of Tennessee, turn to 31-W Insulation. Our installation team consists of highly experienced professionals who are all our own employees rather than subcontractors, and they proudly adhere to our standards of superior workmanship and courteous customer service. We have been the home improvement company of choice for homeowners throughout the Southeast since we began in 1972, and our ongoing commitment to achieving total customer satisfaction is reflected in our A+ rating with the Better Business Bureau. Visually appealing – You’ll be able to choose from a variety of traditional, carriage house, and contemporary designs to complement your home’s architecture. Customizable – With a plethora of window options, decorative hardware sets, and attractive colors available, you can design your new door to suit your personal style. Safe to use – Our doors are outfitted with the state-of-the-art Amarr Safe Guard System to minimize the risk of injury during use. Built to last – Your new door will be made from durable materials like heavy-duty steel and solid wood with low-maintenance surfaces. Also, if you enjoy using your garage as a workshop, office, family game room, or anything else, our doors are available with energy-efficient insulation options. 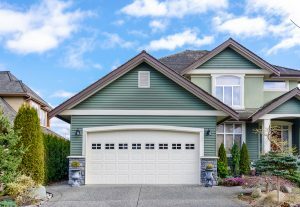 For additional information about the garage door replacement services we offer for Clarksville, TN, homeowners, contact 31-W Insulation today.